This review was sent in by Cathy and is our first member submission. 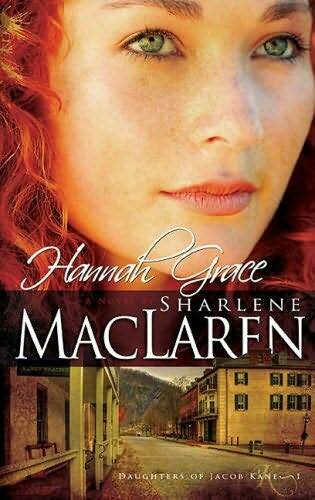 Hannah Grace, by Shirley MacLaren is set in 1903. It is essentially a small town love story with a bit of mystery thrown in for excitement. It is also the first in the trilogy about Jacob Kane’s daughters. Hannah Grace is the eldest daughter, and at 21 and is on the point of getting engaged to the town doctor… but all is not as it seems to be. Into town rides the new sheriff, Gabriel Devlin… and of course the sparks fly. There is also a little 8year old boy in the story, who in a way is the main focus of the story and tugs at your heart strings. God works in His mysterious ways through the book, leading Hannah Grace in her decisions about marriage, Gabe in his job and Jesse in his search for relief from his troubles…. Just the sort of nice feel good read that takes you away from the things of this world and makes you wish for good in everyone else. Thanks Cathy, we look forward to reading your reviews of the other 2 books in the series!